The last time I took Moe with me to pick Jelly up from school, he had a major meltdown--the worst one ever. He pulled another child's hair, and I had to drag him, screaming and scratching, out to the car. The teachers were wonderful and helpful, but I was both broken and mortified after this incident. And so, so sad. That was last summer, and I haven't taken Moe back to Jelly's school since. This incident was one of the primary reasons I have help in the afternoons. Our nanny picks Jelly up from school, or stays with Moe so I can get her. But last week, our nanny was sick and Jeff couldn't get Jelly, so I took Moe. I didn't have a choice. When Moe was a newborn, I, like all new mothers, had no idea how I was going to go about my day with this little baby. How would I go grocery shopping? What if he had to eat or be changed when I was out? I resolved that I would not be scared of my child. It sounded funny, but that is what I had to tell myself to get out of the house. I will not be scared. And that is how I did it. We tried new things. We went to the store and playdates and music classes and it was all okay. But as I drove with Moe to Jelly's school last week, I was scared. I tried to tell myself not to waste any emotional energy on fear of what might happen. I told myself that Moe is a much different kid than he was last summer. Everything would be fine. We got to school, and Jelly, of course, wanted to show me a million things. And Moe loves Jelly's school. He wanted to run around and see everything and generally wreak havoc. But he can't be trusted there, and so I have to hold his hand. He started to fuss and complain. This is exactly how it started last time. Moe got mad that I was keeping him from playing and started to melt down. He was frustrated, but there wasn't anything I could do about it. This time, I knew enough to get out of there quickly. Jelly understood that she had to come with me, and we avoided a major incident. But it was close. Moe has come a long way. He is learning to behave and communicate without aggression much of the time. But this is one situation that he is still not ready for. I turned 40 earlier this month. 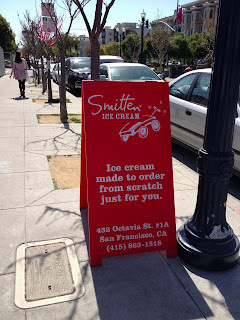 To celebrate, I spent last weekend in San Francisco with friends. I knew we would have fun. I knew we would eat and drink and relax. But what I didn't know was how overwhelmed I would feel. I am often overwhelmed--with, with stress, anxiety, with too much to do and too many decisions. But this wasn't like that. 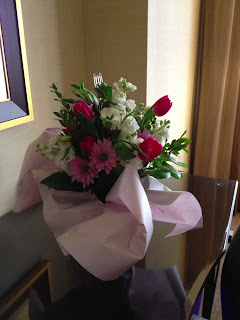 I was overwhelmed with gratitude for a husband who gave me a weekend off, just because he wants me to be happy. 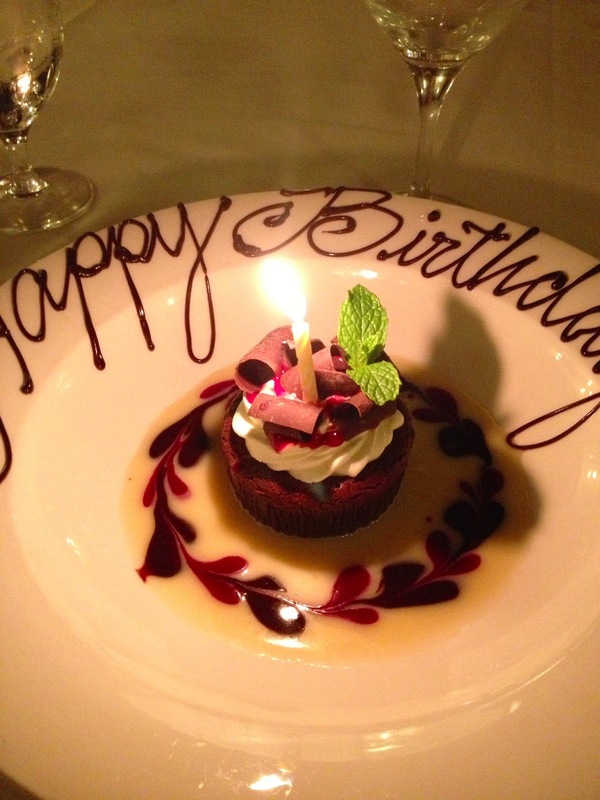 Overwhelmed with love from friends - ten! - who spent all or some of the weekend with me. Overwhelmed with generosity of friends who not only spent their time and money on a vacation, but on beautiful flowers and gifts. Overwhelmed with delicious food and beautiful weather. And then, when the weekend was coming to an end, overwhelmed with bittersweet sadness at saying goodbye to two friends who moved far away. The time with them meant everything and life is such that it is hard to visit. But I will try. So...to New Beth, Beth Classic and Beth 2.0, to Karyn, Cynthia, Lyn, Danielle, Jill, Phoebe and Francesca, thank you. Thank you for the weekend, and for so much more. I have very little insight into how Moe thinks and feels. His processing of the world must be so different from mine. I imagine it is based much more on sensation and impulse, that he thinks, as Temple Grandin puts it, "in pictures" rather than words. How does the world sound to him? Look? When he covers his ears when the wind blows, is it because the sound hurts him? Or does he like the way it sounds when he covers his ears, just like he seems to enjoy laying on his back in the bath with his ears just below the water? I can only guess. I know how Moe behaves in certain situations. I have a general sense of how Moe communicates his needs, what his various sounds and gestures mean. We make it through each day, somehow piecing together each other's demands. Clumsy as it is, it usually works. But sometimes there are things I can't puzzle out. Is he frustrated? Not feeling well? Hungry or thirsty or cold? Sometimes, he may himself not know; he is only five and still developing emotionally. But sometimes, I know he's trying to tell me what he needs, and I can't figure it out. Reading the words of autistic adults can help. In many ways, they are perfectly suited to explain how it feels to have different sensory processing needs, why eye contact can be so challenging, or how to calm a restless body and mind. I do my best to listen. As Moe grows older, I hope that we will find some autistic adults who can help him understand his body and mind in a way I cannot. 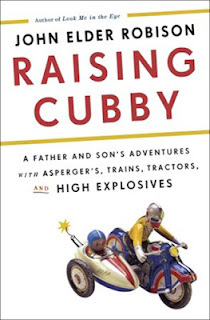 But the thing that struck me most about this book, is how little the fact that John Robison had Asperger's seemed to help him raise his son, who was also later diagnosed with the same disorder. Although Robison suggests that some of this lack of insight may have been because he has Asperger's himself, that isn't the whole picture. The fact is that Cubby (the nickname Robison gives his son) is very different from his father. Cubby is outgoing and smart, but disorganized and has difficulty with executive functioning skills. He has some obsessive compulsive behaviors, like hand washing and hair brushing. John, on the other hand, struggles more with social behaviors. Both father and son have Asperger's, but it doesn't necessarily bring them much closer to understanding each other. Sometimes we neurotypical (i.e. not autistic) parents of autistic kids are made to feel that we cannot possibly understand our autistic children. That the therapeutic approach many of us take to helping them succeed is inappropriate. That ABA methodologies are nothing short of abusive. These words sting--how could they not? We are told that others know better what our kids need. Moe's autism is uniquely his. And while some of his experiences may very closely resemble the experiences of some other autistic people, others experiences may more closely resemble my own. He loves to have his feet rubbed, for example. So do I. Some people hate to have their feet touched. This probably has absolutely nothing to do with autism, but there is no way to know where the line begins. Moe's primary area of need is with language and communication. I can look at other people with autism and see how they have learned to communication, but those methods won't necessarily work for Moe. In the end, we each have a unique perspective on the world. There are a billion factors involved, and who says who might understand Moe best? All I know is it is my job to try, and one I do with love and the best of intentions every single day. 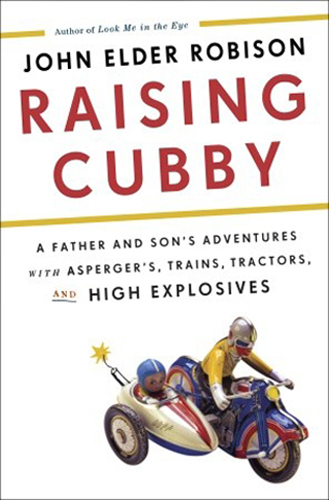 This post was inspired by Raising Cubby: A Father and Son’s Adventures with Asperger’s, Trains, Tractors, and High Explosives by John Elder Robison. Parenting is a challenging job, but what challenges does a parent with Asperger's face? Join From Left to Write on March 12 as we discuss Raising Cubby. As a member, I received a copy of the book for review purposes.